A prosecution witness, Usman Zakari, an investigator with the Economic and Financial Crimes Commission, EFFC, in the ongoing trial of Mohammed Belgore, a Senior Advocate of Nigeria, SAN, and Prof. Abubakar Sulaiman, a former Minister for National Planning, on Thursday, June 8, 2017, told Justice Rilwan Aikawa of the Federal High Court, sitting in Ikoyi, on Thursday, June 8, 2017, how a document recovered from Belgore contained the names of some individuals and public officials who benefited from an alleged bribe of $115m doled out by a former Minister of Petroleum Resources, Mrs. Diezani Allison-Madueke, to compromise the 2015 general election. In a document tendered by the prosecution counsel, Rotimi Oyedepo, through Zakari, who is the second prosecution witness, PW2, it stated that the Resident Assistant Inspector-General of Police in Kwara State at the time received N1m cash. The document also stated that while the Commissioner of Police in Kwara State at the time received N10m cash, the Deputy Commissioner of Police in charge of Operations got N2m cash. It was further revealed that both the Assistant Commissioners of Police in charge of operations and administration in Kwara State received N1m cash each. The document also showed that the Resident Electoral Commissioner in Kwara State for the 2015 general elections also received a cash of N10m, while the Independent National Electoral Commission’s Administrative Secretary in Kwara State at the time received N5m cash. The INEC Head of Department, Operations and “his boys” were also said to have been given N5m, while other officers received and shared N2m among themselves. 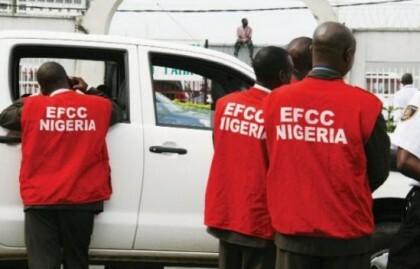 The document also listed OC Mopol and “his men” to have collected N7m; 21c Mopol and “his men” in the state, who got N10m as well as the Director of the State Security Service and “his men”, who got N2.5m as beneficiaries of the alleged Diezani bribe. In the document, it also was stated that the military in Kwara State was bribed with N50m, while other security agencies, including the Nigeria Security and Civil Defence Corps and the Federal Road Safety Corps, got N20m. Led in evidence by the prosecution counsel, Rotimi Oyedepo, Zakari also told the court that Belgore volunteered the list to the Commission while he was being interrogated. Oyedepo also tendered another document titled “Kwara State” showing other beneficiaries. The document, which was also recovered from Belgore, showed beneficiaries of a sum of N155,220,000 and the breakdown of what they got. It listed 15 electoral officers who received 250,000 each; 15 supervisors who got N100,000 each as well as state Returning Officer who got N1m, among others. The two documents were tendered and admitted in evidence as Exhibits 7 and 7A. Counsel to the first defendant, Ebun Shofunde ,SAN, and counsel to the second defendant, Olatunji Ayanlaja ,SAN, raised no objection. Thereafter, Justice Aikawa entertained Belgore’s application seeking the dismissal of the charges on the grounds that the prosecution failed to attach an affidavit showing the conclusion of the investigation before charging the case to court. In response, Oyedepo argued that the current law governing criminal cases in the country , which is the Administration of Criminal Justice Act 2015, did not list filling of affidavit as one of the conditions that must be fulfilled before a criminal charge could be filed in court. Oyedepo further argued that the provisions of the ACJA were superior to that of the Federal High Court Practice Direction. He also referred the court to Section 221 of the ACJA, which bars a judge from entertaining any application challenging the competence of charges in a criminal case in the middle of trial. Justice Aikawa adjourned the matter to July 7, 2017 for ruling on the application..